Bernard, of Clairvaux, Saint [Bernardus Claravallensis]. Sermones de tempore et de sanctis et de diversis. Mainz: Peter Schoeffer, 14 April 1475. 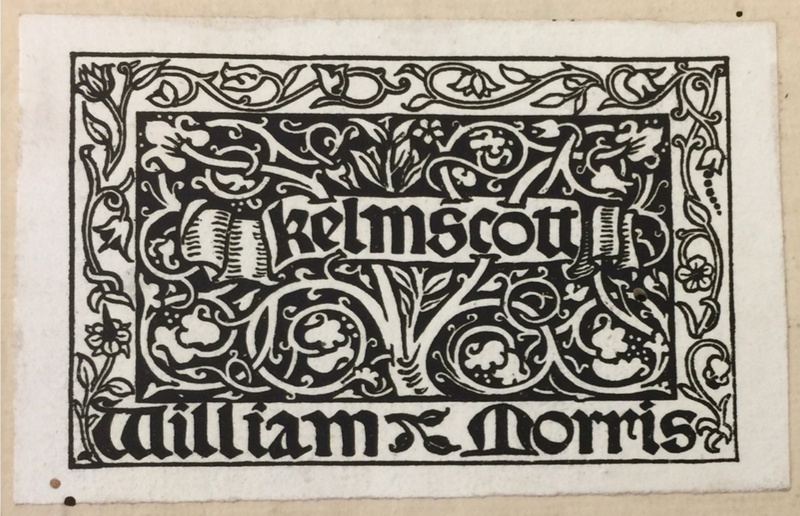 Morris’s small Kelmscott Press printer’s device (Bibliography, p. xxiii, no. 1) is used as bookplate [see below]. Provenance: Ross Winans. —Morris. — Richard Bennett. — Sotheby 1898, lot 165 (sold to Pickering for £6 5s.). — Huntington Library (84805).